Cate joined the Trust in April 2018, having gained the majority of her HR experience working in the Higher Education sector at the University of Nottingham. She has extensive experience as an HR Manager at a local secondary academy and prior to joining Archway Learning Trust she was instrumental in the set-up of a new centralised HR team as the HR Director for a large Multi Academy Trust. Cate is CIPD qualified and has a wealth of practical hands-on experience as well as project management and reviewing HR processes and procedures to ensure an HR team works efficiently. She has a high level of experience and knowledge of safeguarding and is a strong advocate of the impact HR has on the wellbeing and safety of pupils. Simon joined the Trust in January 2016, having previously worked in a wide range of administrative and management roles including as clerk to a Board of Directors in industry. He is responsible for ensuring that Trustees and local governors are provided with effective administrative support and advice on legal requirements and good governance practice. A Fellow of the Royal Society of Arts, Simon has completed the National Clerks’ Development Programme and is studying for the ICSA Advanced Certificate in Corporate Governance. He has taken part in the National Governance Association’s Clerks Advisory Group. He oversees governor induction and assists with skills auditing and training. He can advise on a wide range of governor activity including effective committee working practices, succession planning and delegation. Nathan has worked within the education sector for over nine years, having joined Bluecoat in 2012. During his time Nathan has led a number of successful development programmes across the Trust which has transformed the strategic and operational aspects of IT. Adept at change management, strategic planning and effective people management Nathan has created a highly agile, scalable and user focussed technology experience. Nathan plays a key role in growing the Trust and ensuring that through every step of the Trust’s development technology always acts as enabler. Nathan’s role encompasses all strategic aspects of IT and he takes a great interest in how great people and high performance technology can create a winning vision for organisational success. Nathan has advised a number of start-up Trust on their technology strategy and continues to be a Governor for a school within the Diocese of Leicester Academies Trust. Angela has worked in education for 17 years, originally within a Higher Education setting, joining Bluecoat in August 2007. Her role is to ensure compliance with Health and Safety legislation for all Trust operations, providing professional advice to ensure activities and operations are managed in accordance with policies, guidance and statutory legislation. Angela also organises and delivers Health and Safety training. Her qualifications include NEBOSH and she is a graduate member of the Institution of Occupational Safety and Health (Grad IOSH). As a specialist in strategic and project management, Angela has led teams through significant organisational change and provided expertise in organisational planning and growth. 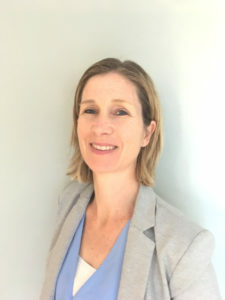 Angela also leads and manages core estate maintenance functions within the Trust, and assists in the development and management of capital projects, providing strategic estate advice, ensuring relevant statutory, environmental, professional and technical standards are identified and maintained in relation to estate, land and property issues. Maria has worked at Bluecoat Academy since March 2009 bringing with her a wealth of experience working in large accounting firms in the UK, Channel Islands and across EMEIA. Joining at a time of financial insecurity Maria managed to stabilise the Academy’s financial position ensuring that the students at that time received value for money across their education. Since Bluecoat became an Academy, Maria has developed the business services and now leads a highly professional team covering the areas of finance, IT, facilities, health and safety, HR and other services. Maria networks with like-minded professionals nationwide and is often called on for advice on business matters from other academies as well as working with the EFA in their policy and procedure development. Lee is a fellow of the Chartered Association of Certified Accountants and holds an MBA in Finance from the University of Nottingham. 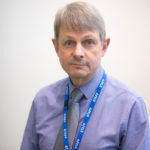 He joined Archway Learning Trust in 2017 as the Director of Finance having spent 20 years in the higher education sector; his latest role before joining the Trust was as Director of Finance at the University of Nottingham. He has held a number of previous positions outside the education sector including the introduction of VAT on Electricity at East Midlands Electricity, taking a new University into incorporation as well as working in the leisure sector and the NHS. He has chaired and been a member of numerous national committees on behalf of the British Universities Finance Directors Group including Tax, Counter-Fraud, Payroll and Expenses Committees. He has also been a Magistrate and a Chair of School Governors. Michelle Walshe has over 16 years’ experience working within the administration and business sector of schools. In recent years Michelle has worked closely with specific business services to support and develop efficient and effective business processes which have allowed Michelle to develop a demonstrable understanding of the business and operational aspects of the Trust’s work. Michelle has specialist knowledge of Admissions and Appeals, having experience of both oversubscribed and undersubscribed schools within Nottingham City and managing the challenges these bring.